While scratching is most associated with hip hop music, where it emerged in the mid-1970s, from the 1990s it has been used in some styles of rap rock, rap metal and nu metal. In hip hop culture, scratching is one of the measures of a DJ's skills. DJs compete in scratching competitions at the DMC World DJ Championship and IDA (International DJ Association, formerly known as ITF (International Turntablist Federation). 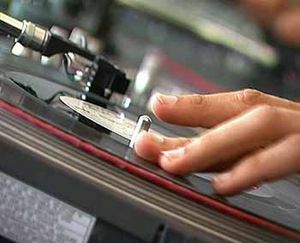 At scratching competitions, DJs can use only scratch-oriented gear (turntables, DJ mixer, digital vinyl systems or vinyl records only). In recorded hip hop songs, scratched "hooks" often use portions of other songs. While scratching is becoming more and more popular in pop music, particularly with the crossover success of pop-hip hop tracks in the 2010s, sophisticated scratching and other expert turntablism techniques are still predominantly an underground style developed by the DJ subculture. The Invisibl Skratch Piklz from San Francisco focuses on scratching. In 1994, the group was formed by DJs Q-Bert, Disk & Shortkut and later Mix Master Mike. In July 2000, San Francisco's Yerba Buena Center for the Arts held Skratchcon2000, the first DJ Skratch forum that provided “the education and development of skratch music literacy”. 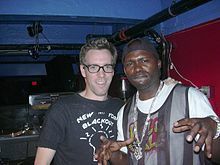 In 2001, Thud Rumble became an independent company that works with DJ artists to produce and distribute scratch records.